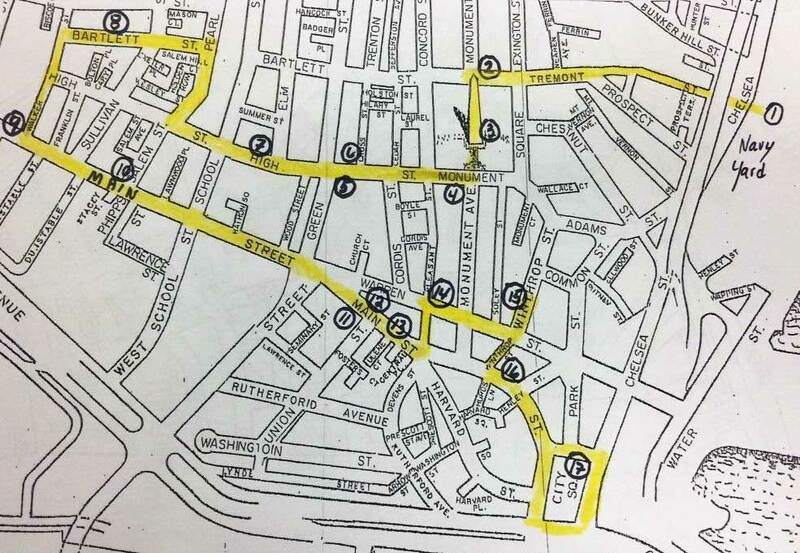 This walk was developed by fifth graders at the Harvard/Kent Elementary School in Charlestown in 2017. Rosie the Riveter is a salute to the thousands of women who worked at jobs vacated by men who were fighting in World War II. Rear Admiral Grace Hopper joined the WAVES in 1930. She worked on the missile system for the USS Cassin Young. She retired from the Navy in 1986. Her retirement ceremony was aboard the USS Constitution. Florence I. Johnson was brought up in Charlestown. She joined the WAVES and served at Charlestown Navy Yard and Washington D.C. She became a Gold Start Mother when her son was killed during the Vietnam War. She was active in numerous veteran organizations and community projects. Helen S. Rush and Mary Sherkanowski ran a boardinghouse here. 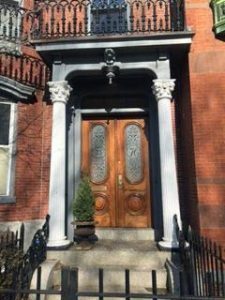 It was called Monument Square House. They wrote about their experiences in a book, Rooms To Let. Alice Kent Robertson Quimby was the daughter of William H. Kent, a mayor of Charlestown. She performed at charitable events reading literary pieces. Her interpretations were favorably recognized. Lucy Lew Dalton lived on Bunker Hill Street in the late 1830s. She opposed inequality and discrimination in public schools and helped improve the quality of education at the Abiel Smith School. She was committed to helping the African American community of Boston. Sarah Josepha Hale’s attention to the unfinished Bunker Hill Monument resulted in its completion. She was the editor of Godey’s Ladies’ Book, wrote “Mary Had A Little Lamb,” and convinced President Lincoln to establish Thanksgiving Day as a national holiday. Women of the Monument with their needlework and artistic creations, helped raise funds for the completion of the Monument during a week-long fair held at Faneuil Hall. 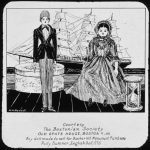 Miss Jane Edwards and Miss Helen Wise established a card catalog system to ready the first 1200 books for circulation when Charlestown opened its first public library in 1860. Miss Charlotte Harris donated ten thousand dollars to the Charlestown Library. 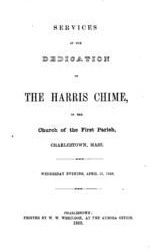 She also donated chimes of bells to the First Parish Church of Charlestown. She was a descendent of the Devens and Harris families of Charlestown. Ellen Augusta Brown Ranlett selected readings for the “For To-Day” column of the Boston Transcript. She was a warm and welcoming hostess. Mary Colbert helped found the annual Doll Carriage Parade. She was a political activist for more than four decades. 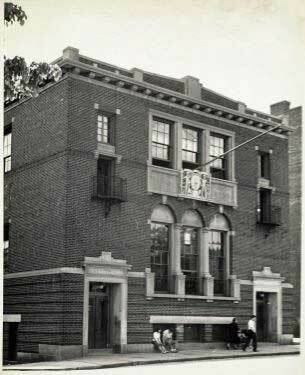 The Mary Colbert Apartments in the old Harvard Elementary School on Devens Street are named for her. Margaret Jones was an herbalist and a midwife. She was accused of witchcraft and was tried, found guilty, and hanged. She was the first person in Massachusetts Bay Colony to be executed for witchcraft. Harriet Kezia Hunt was the first woman to practice medicine in the United States. She formed the Ladies Physiological Society in 1853. She spent many years lecturing on the abolition of slavery as well as women’s rights. Rebecca Lee Crumpler became the first African American woman to earn a degree from the New England Female Medical College. When she lived in Charlestown, she worked as a nurse. After the Civil War, she and her husband moved to Richmond, Virginia to help the freed slaves. Later they returned to Boston. Alice May Bates Rice was the daughter of musical parents. She became a major soprano for several opera companies in New England and Canada. Charlotte Cushman lived here as a young girl. She went to school and received her first elocution lessons in Charlestown. She became a renowned actress of the 19th century. She played both male and female roles. Elizabeth McLean Smith was an instructor at the School of the MFA in Boston from 1940 to 1953. 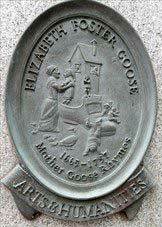 She was a sculptor, president of the New England Sculptors’ Association and a member of the National Sculpture Society. Martha Whiting was a pioneer of female education in America. 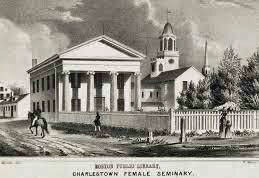 She was the first headmistress of the Charlestown Female Seminary. She worked with the First Baptist Church and did missionary work among the poor Irish immigrants of Charlestown. She wrote of her work in her religious journal. Sarah Colby moved from Maine to Charlestown with the help of the First Baptist Church when her husband lost his fortune during the War of 1812. 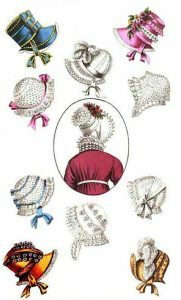 She ran a successful millinery shop in the room she rented from Timothy Thompson. Her son, Gardner, became a successful Baptist preacher and a benefactor of Colby College. Julia Harrington Duff taught in Charlestown for 14 years before her marriage to Dr. John Duff. She was the first Irish-American woman elected to the Boston School Committee. She supported school sports for girls and she championed the cause of the Irish-American women who wanted to be Boston Public School teachers. Laurette Murdock was an editor for Houghton Mifflin Company for 21 years until her retirement in 1965. She was one of the pioneers in the restoration of historic Charlestown houses. Murdock was an artist and a gardener, involved in many community organizations. She was the author of Someone is Talking About Hortense. Mary Boyle O’Reilly was the eldest daughter of John Boyle O’Reilly, Irish Nationalist and poet. She belonged to many philanthropic organizations. She also served on the board of directors for the Women’s Educational Union. She was imprisoned by the Germans during World War I. After the war, she participated in a number of public speaking engagements sharing her war experience. Agnes Smiley O’Reilly Hocking was the third daughter of John Boyle O’Reilly. In 1915, she and a group of Cambridge families started an open-air school. Classes were first held on the “back porch” of the Hockings’ house on Quincy Street in Cambridge. The school enrollment quickly outgrew the space. They moved to Shady Hill Square and named the school after its location. 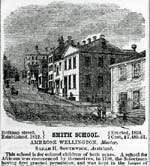 The Shady Hill School is now located near Harvard Square. Mary Gee Chin arrived in Charlestown in 1932 as a result of an arranged marriage. She and her husband ran a laundry. When her husband died, she was left with nine children. She worked long hours remaining independent and resourceful. Chin instilled the value of education in her children and all graduated from college. Squaw Sachem “Queene of Mistik” was the ruler of the Massachuset Federation of Tribes. Her territory extended from Charlestown to Concord and up to Marblehead. She was the most important ruler of her era. Mary Winslow Long became the owner of the Three Cranes Tavern when her husband died in 1683. Under her ownership, the tavern prospered. She was able to buy several lots of desirable land in the town. Many years after her death, the Three Cranes Tavern burnt to the ground on June 17, 1775. Grace Hall Parker and her husband, Isaac, produced Charlestown Ware. 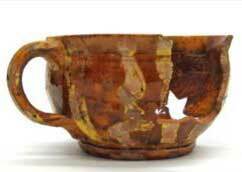 After his sudden death, she took over the business and became a master potter. She was successful in petitioning the General Court to allow her to keep the monopoly on stoneware production that her late husband had. 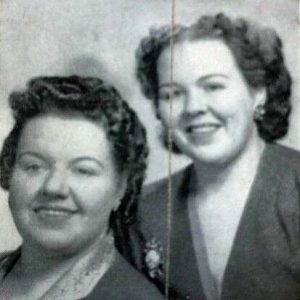 Parker balanced running a business and raising her family of eleven children until her death. Judge Mary Murphy Brennan grew up in Charlestown and attended Boston schools. Her parents were Irish immigrants. She joined the U.S. Navy and served as a lieutenant during World War II. After attending Boston College Law School and passing the Massachusetts Bar Exam, she began her law career. In 1980, Judge Brennan was appointed as the first woman Presiding Justice of the Charlestown District Court. Judge Lillian D’Ambrosio was the daughter of Italian immigrants. She graduated from Boston University and earned a law degree from Boston University School of Law. She was appointed as Commissioner of the Industrial Accident Board. She was elected the first woman president of the Justinian Law Society of Massachusetts. Judge D’Ambrosio was the Chief Justice of the Chelsea District Court for fifteen years prior to her retirement.